Many streets and suburbs in Sydney have been taken over by hundreds of people on their smartphones trying to find rare Pokémon in a bid to “Catch Em All” following the launch of Pokémon GO by Niantic Labs in Australia in July. 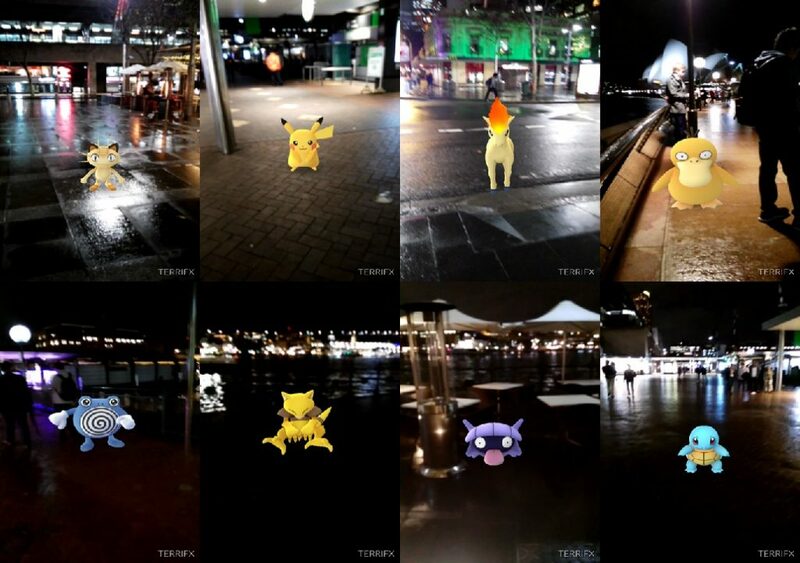 Just days after the augmented reality game’s launch, gamers have joined together and formed communities on social media to collaborate in their search for all of the 149 Pokémon. 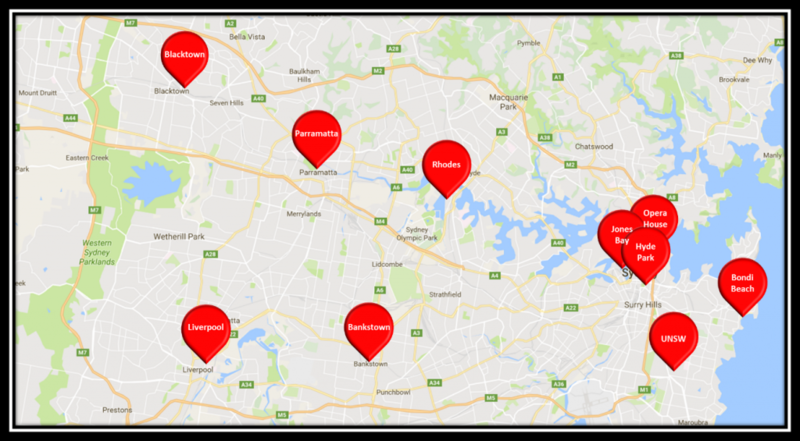 Pokémon GO players quickly identified popular hotspots and nests of Pokémon in and around Sydney. Relying on the game’s inbuilt map and GPS, the Sydney Opera House was an early favourite with gamers as the major Sydney landmark provided a sizeable intersection of Pokestops with lures. The augmented reality game boasted of catching Pokémon at real life locations and what better place is to have the Sydney Harbour Bridge in the background. The atmosphere at the Opera House was one that was exciting especially with the thousand or so people out and about in the middle of winter catching water type Pokémon. Fans donned in Pokémon attire and onesies could be found among the large crowds walking along the Harbour foreshore. “Opera House [is] amazing… literally 2-3 Pokémon every 10 metres” said Team Mystic player David Wassef (Davo475). Those wanting to avoid the Harbour winds found sanctuary among the trees at Hyde Park’s War Memorial that were beaming with flying type Pokémon. The frantic nature of Pokémon hunting in Hyde Park would only be broken by security guards asking gamers to move off the War Memorial’s steps. “There are even people camping on street corners [in the city] catching Pokémon all night” said a Town Hall resident as he swiped into his apartment complex. 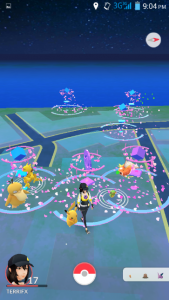 Sydney’s CBD stash of Pokémon is perhaps one of the largest with the high density of Pokestops and frequency of gamers in the vicinity having an impact on the number of Pokémon making their appearances. However, the suburbs of Western Sydney would not be spared from the new Pokémon GO craze. Near the geographic heart of Sydney is a sleepy riverside suburb of Rhodes. A maze of apartments with a small park no larger than the size of a house and containing 3 Pokestops was found. With social media bringing gamers of all ages together from the four corners of Sydney, the secret quickly spread and soon night after night Rhodes would experiencing a short lived population boom. 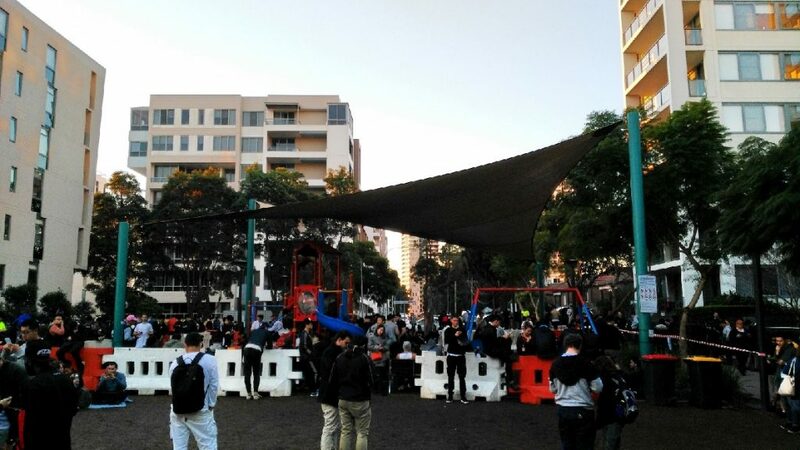 Peg Paterson Park in Rhodes was swamped with close to a thousand of gamers turning the grass into mud and annoying nearby residents with late night noise. Yet if one was to look for a fun hotspot to catch Pokémon, Rhodes would not be the place to go. The children’s playground and mega chess board has been overrun with people glued to their small screens unmoved the cloud of haze coming from the large number of smokers. Sandwiched between children, teenagers and adults that should probably have been at work was your unlicensed hawkers illegally selling food, mobile phone accessories and alcohol. Asked on how he felt about catching Pokémon in Rhodes, player Leo Leung (ulfbert67) said that “there was too many people” and he would probably not be back. Residents got so fed up with the inconvenience and noise that some even resorted to vigilante justice with water bombings and egging of players in the park from the balconies of the neighbour apartments. It’s quite a scene when television news crews arrive on scene and start reporting on buses being delayed with the Police Riot Squad forced to direct traffic in the neighbourhood streets. “Police encourage people to enjoy Pokémon Go safely and when using mobile devices at any time” said Senior Constable Sue Thompson. 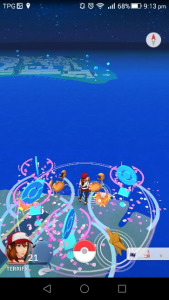 Some of the Pokestops were removed from Rhodes after a few weeks with residents and Canada Bay Council petitioning Niantic Labs to reduce the density of the crowds for safety reasons. The time had come for Pokémon to head west to Bankstown which had a much larger park with even more Pokestops. Paul Keating Park in Bankstown has been dubbed ‘Rhodes 2.0’ and has been a hit with gamers due to its close proximity to the shopping centre. Perhaps it was the stereotypes of crime in Western Sydney that reduced Pokémon gamer numbers in Bankstown to about half of Rhodes, but nevertheless the sense of community was far stronger. Instead of players merely trying to catch the best Pokémon for themselves, gamers in Bankstown backed by a Facebook group shared tips and locations for Pokémon hunts. The Pokémon environment in Bankstown was so well managed with gamers self-enforcing public etiquette that Council received no complaints and even several local cafes offered discounts for Pokémon players. The appeal of Pokémon GO may have faded from Rhodes but it has not dented the game’s potential for community building. Further out west in Blacktown, a number of Pokémon players reported on social media that the Asian Food Market near the train station had 4 Pokestops and that strong Pokémon had been found there. Standing on street corners and in a partly lit carpark next to the train station was about a hundred people mainly young males although a few females sitting in their cars could also be seen playing Pokémon. Not the most appealing location for Pokémon with no seating and the nearby walls covered with graffiti although worth a visit if Sydney CBD is too far away. Although the street scene may in need of repair, Blacktown Council is hoping to lure players to the area having committed $1000 to hosting a Pokémon event in the area in early September. Blacktown Councilor Karlo Siljeg said that the event was in the process of planning and that his “favourite Pokémon is Charizard”. Some of the not so commonly known yet enjoyable hotspots to catch Pokémon is along the Parramatta River near the Parramatta Ferry Wharf and at the end of Jones Bay Wharf just opposite from Darling Island in Pyrmont. Liverpool’s Bigge Park, Bondi Beach and university campuses in Sydney have also been reported to have good Pokémon during the day. Ultimately if one wants to have an enjoyable experience playing Pokémon they should do so with a friend and stay safe through being alert of the surrounding environment not just for their next catch but for cars, people and other real hazards. Locations and information is current as of August 2016.